Some aircraft owners like nice photos of them flying their plane. 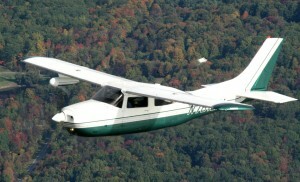 Getting air to air shots is a tricky maneuver, and requires close coordination and communication from pilot to pilot. There are safe distance requirements, too, and since both planes are moving fast, vibration can be an issue. My cameras have fast shutter speeds and film ( ISO ) settings and since I know quite a bit about aviation and flying, I understand how to do this type of work. Before an air-to-air shoot, I sit down with the pilots and go over a plan to choreograph the shoot. I’m a member of ISAP, International Society of Aviation Photographers. I photograph aircraft as part of my work. I have a growing collection of stock photos of a variety of aircraft.